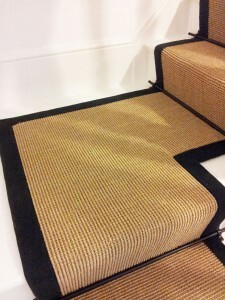 This week's design focuses on our sisal gold stair runner with a striped border in natural and black. 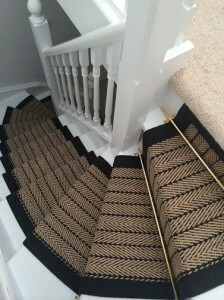 The sisal stair runner has a clean high lustre natural finish in beige with a striped border to give a high quality orderly appeal. The lounge paint is a white . 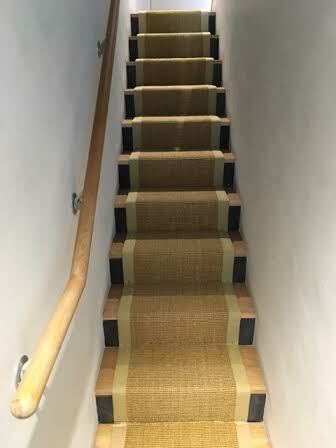 It’s a great backdrop for a crisp sisal finish. 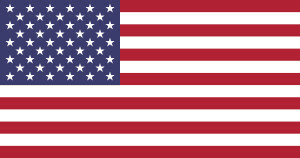 We have suggested an eco-paint from bq. The stairs and doors are also in cotton white satin . 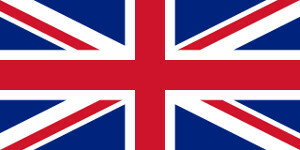 This completes the canvass for the design. 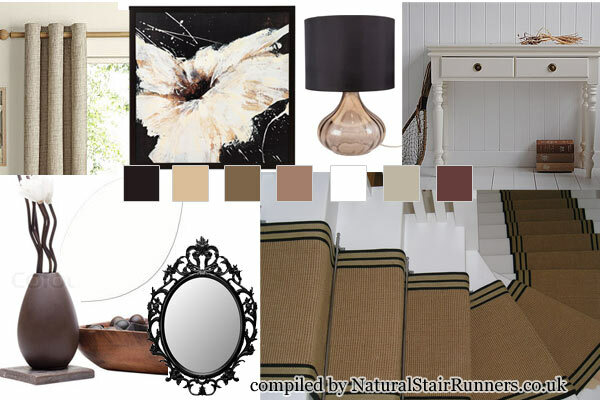 A cream hall table, creates the beginning of colour and texture whilst building an opulent appeal. Woven ecru curtains keep a light pastel appeal and build more texture. An 'ung drill' wrought iron mirror from Ikea creates a stark contrast to the white and marries with the black striped border. A ribbed glass with black shade lamp combines nature again with black to great effect. The wall art of a white blossom splashed with tones of gold and brown will add drama to your design. Why not add another glass vase and some natural dried plants mixed with black twigs. This is a very elegant timeless design which will add value to almost any hall and stairway. 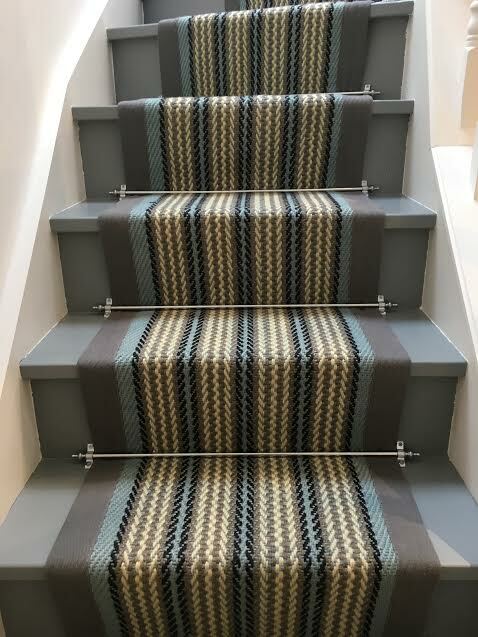 Have fun with your stairway project!